You have no business to believe me. I ask you to believe nothing that you cannot verify for yourself. . .
Am I for or against Gurdjieff? Both, of course, as one is for and against God, for and against oneself, for and against one’s life. Hagiography is a different thing. It matters not who is shocked. If everything was clear there would have been only one explanation, one moral code, one faith, for the last hundred thousand years. Or, more exactly, there would be no faith. Read Ouspensky and say whether you are for or against him. To my mind, those who swallow the Gurdjievian cosmogony whole, and those who reject it out of hand, are equally wrong and, above all, equally superficial. Those who study Gurdjieff, alive or dead, without either fear or respect, are equally naïve. From such a man one takes and rejects, one is both wary and receptive. One struggles with him. To struggle with Gurdjieff (and not against him) is to understand him, to know him, and, in the end, to love him. As for putting him on a pedestal, especially after his death, that is the most sinister trick that well-meaning Gurdjieffians could possibly play on him. That is to show true disrespect. EIGHT PRELIMINARY ARTICLES by and about James Moore. Moore's cameo confirms that	"the Gurdjieffian enigma is here to stay"
Moore's was the first detailed Gurdjieff chronology. It appeared in his 1991 biography Gurdjieff: the Anatomy of a Myth. Moore provides a discerning sketch of Gurdjieff's life and describes 15 essential books by and about him. An interview with James Moore, pupil of Henriette Lannes, 58:39 minutes. Moore was interviewed by Herr Jurgen Wilcke in Nov 2002. Despite Wilcke's sometimes wooden questions, Moore's well informed penetrating observations shine through. First published in London's academic journal Religion Today, Moore's 1994 essay critiques innovations he observed in Gurdjieff Society groups during the 1980s and early 1990s. These entailed a shift away from Gurdjieff's canonical ideal of effort towards one of grace, emphasis on lengthy supervised 'sittings' redolent of Kundalini Yoga and sanctioning an 'improved' American English-language redaction of Beelzebub's Tales. A review by J. Walter Driscoll is accompanied by excerpts from Moore's 2005 memoir which focuses on his 21 years in Henriette Lannes' London group. INTERNAL LINKS to five additional pieces by James Moore on this site; "The Initiation of the Priestess" and "Katherine Mansfield and Gurdjieff's Sacred Dance," are both in the "Katherine Mansfield at Fontainebleau" module in Section 1-Encounters. His "The Revelation in Question" is in Section 3-Philosophy. "The Enneagram" and "A Biographer Digresses" are found in Section 4-Gurdjieff's Influence. 1-Encounters—perceptive accounts of experiences with Gurdjieff. 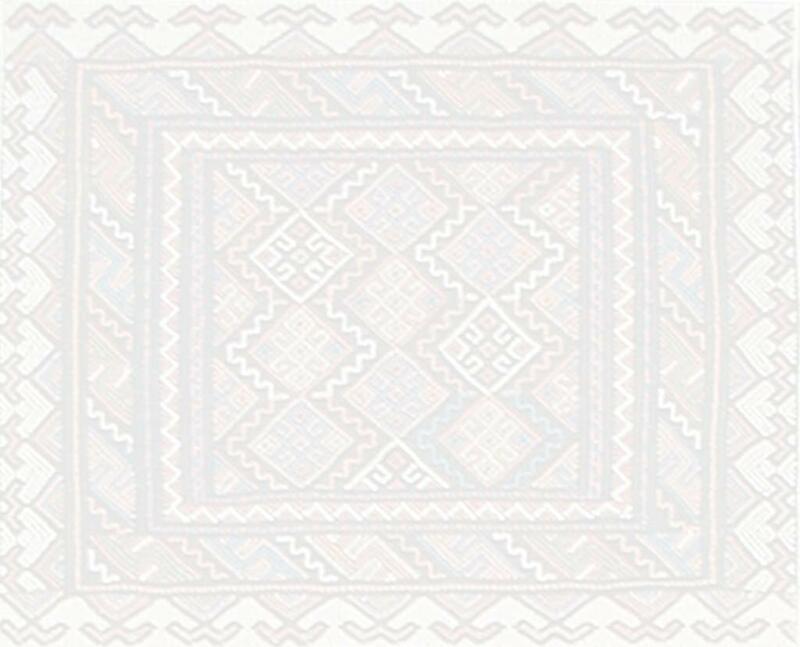 2-Writings—texts of some of Gurdjieff's talks and miscellaneous writings as well as knowledgeable analysis of his All and Everything trilogy. Also contains (The Art of G. I. Gurdjieff) which provides an introduction to Gurdjieff's writings, an English-language bibliography as well as notes on his music and choreographed Movements. 3-Philosophy—philology, hermeneutics and mythopœic cosmology inspired by Gurdjieff. 4-Influence—biography from the Gurdjieffian pantheon, Gurdjieff's Enneagram appropriated as spiritual vaudeville; and (Gurdjieff: the Secondary Literature) which sketches Gurdjieff's life, his diverse reputation and a selective bibliography listing books and articles published about him before 2004. Soon after meeting Gurdjieff in 1915 Moscow, Ouspensky concluded that he " was a genius in his own domain, that he scarcely had to learn, that what he knew could not be learned and that none of us could hope to expect to become like him." Roberts, sceptical but admiring observations provide the first published account in English about Gurdjieff, who gave Roberts an insider's tour of Tiflis (Tbilisi). The Forest Philosophers — C. E. Bechhofer Roberts made several visits to Gurdieff's Institute and concludes that he "preferred to remain an intimate and disinterested spectator." New Cult: Forest Temple of Hard Work and Rough Food — E. C. Bowyer, a London journalist, spent a week in February 1923 visiting Gurdjieff's Institute. He describes events there, and interviews with Gurdjieff, Orage and Ouspensky. 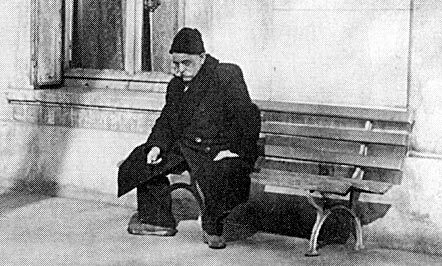 Saurat's weekend visit to the Prieuré in February 1923 provides contradictory impressions of Gurdjieff (Gourdyev) who appears alternately contemptuous, provocative, irritable then finally serious and "extraordinarily courteous." E. C. Bowyer's Feb., 1923 interview provides a vivid glimpse of Ouspensky's attitude then, towards Gurdjieff and his Institute. Some Memories of the Prieuré — Dr. Mary C. Bell reminisces during a visit to Paris in 1949 and sketches her visits to the Prieuré between December 1923 and September 1924. The "Forest Philosophers" — Clifford Sharpe provides an informed account of Gurdjieff's Institute. An Experiment at Fontainebleau — Dr. James C. Young describes Ouspensky's lectures in London and his own practical experiences with Gurdjieff at Fontainebleau. Young also sketches what led to his decision to leave Gurdjieff's Institute. Leblanc attended Gurdjieff's Institute in the 1920s. In the 1930s, she was a member of his 'Rope' group with Margaret Anderson, Jane Heap, Kathryn Hulme and others. Her diaries provide a unique portrait of Gurdjieff. Walker's vivid account of his first visits to Gurdjieff's Paris apartment in the late 1940s, is distinguished by his keenly trained powers of observation. Pierre Schaeffer's account of Gurdjieff in the 1940s, offers an exceptional convergence of astute observation, heartfelt experience, and literary merit. Letter from Paris — Janet Flanner reports the death of Gurdjieff, "One of the most mysterious, eccentric, and discussed modern mystics" and sketches his "legendary life." On the Death of Gurdjieff — Solita Solano's open letters of October-November, 1949 describing events of the days before and after Gurdjieff's death, up to the funeral. G. Gurdjieff's Institute for the Harmonious Development of Man. The 1922 Prospectus for Gurdjieff's Institute describes the program there as "practically the continuation of the Society that went under the name of the "Seekers after Truth" . . . founded in 1895." "Gurdjieff had the capacity to convey so much in some forceful saying that his words echoed for a long time in the hearers' minds. A great deal of the force in G's maxims was imparted by the man who uttered them. Eight meetings from 1943, 1944, and 1946. 1995 reprint edition. Thomas head does not interpret Gurdjieff's book. Instead, he acknowledges how and why the book - at first and oftenfor quite some time - appears unreadable. Then Mr. Head briefly proposes a challenging but simple dialectic with Beelzebub, "may reasonably and profitably be approached by a new reader." Bennett grapples with the contradiction of trying to elucidate a "book that defies verbal analysis" and concludes that Beelzebub's Tales is an epoch-making work that represents the first new mythology in 4000 years. Beelzebub's Tales in Gurdjieff's All and Everything — Gorham Munson predicts that "at first All and Everything will not make much of a stir . . . but I believe it will endure, attract more and more readers and prove a rich source for future writers." Regarding Beelzebub's Tales — Professor Dennis Saurat comments on first reading Gurdjieff's book. T. W. Owens & S. D. Smith. "Despite all the inherent difficulties which Gurdjieff has implanted in the book . . . the rewards are there also. But in keeping with Gurdjieff's philosophy, the rewards are commensurate with the reader's struggle to find them." "It is an adventure of the mind — growing, being formed, setting out after inner knowledge, discovering it and putting it to the test of practice." An introduction, bibliography and synopsis of Gurdjieff's English-language writings with notes on his music and movements exercises. These extraordinary fragments introduce Orage's vision, of the potential for a conscious development of being, that was profoundly influenced by Gurdjieff. Kenney describes how the study of Gurdjieff's ideas altered his view of large-scale social change, and concludes that social progress must be the indirect result of individual efforts to achieve self-knowledge and inner growth. An exceptionally precise and discerning synopsis of Gurdjeff's key ideas. A particle-physicist's bold exploration of the relationship between Gurdjieff's cosmological mythos and leading theories in physics and cosmology. A penetrating essay that links the symbolic structures of the Arthurian legend cycle, mythic elements underlying Beelzebub's Tales and wisdom that transforms rather than slays the Dragon. Gurdjieff and Mysticism — Mohammad-H. Tamdgidi's 2002 Ph. D in Sociology provides an original critical assessment of Gurdjeff's system and what Tamdgidi believes went wrong with it. An introductory bio-bibliographic sketch and selective annotated bibliography with detailed entries that describe key writings about Gurdjieff and provide links to all on-site articles. Moore winnows the grain from the chaff in this discriminating examination of Gurdjeff's problematic and best-known symbol. Moore's observations about prominent figures in the Gurdjieffian pantheon are interwoven with an account of meetings with Jesse Orage, and form a prelude to the undertaking of his 1991 biography Gurdjieff: Anatomy of a Myth. Gurdjieff and Prince Ozay — Gurdjieff was a man of many masks. Professor Paul Beekman Taylor examines the evidence surrounding whether or not the character 'Prince Ozay' in Paul Dukes' autobiography The Unending Quest, was in fact, Gurdjieff. Are We Awake? — Orage considers sleep and waking as facts and as metaphors of our psychological and spiritual condition. Economising Our Energy — Orage examines how we loose so much of our physical, mental and emotional energy each day, and makes suggestions about how it can be economised for the purpose of conscious development. On Religion — Orage views religion as an ancient science that possessed the now lost art of self-observation. On Love — Orage advises that we "learn to distinguish among at least three kinds of love… instinctive love, emotional love, and conscious love." Orage in America — Gorham Munson's vivid account of Orage's catalytic influence in the U.S. during his years as Gurdjieff's representative in New York City between 1924 and 1931. J. Walter Driscoll sketches Orage's political interests, literary influence, and relationship with Gurdjieff. In Anti-Bolshevist Russia — C. E. Bechhofer Roberts was stranded with Ouspensky in the Caucasus for several days during the Russian revolution. Over a bottle of vodka, Ouspensky engagingly relates some of his light-hearted Moscow and Essentuki adventures. The Case of P. D. Ouspensky — Marie Seton was Ouspensky's secretary and confidante during the 1940s. Although convinced of his goodness and honesty, she writes pointedly about the corrupting influence of being a guru. Never forget that every stick has two ends. The devil can lead you to paradise, and God, directly to Hell.